To view a selection of images please visit the Gallery here. Choose from a variety of wedding photo packages, something to suit everyone. All the packages include a pre-wedding meeting where we discuss your requirements for the big day, including styles and group shots. We will also visit the venue together just before the big day to find your favourite spots and run through the group shots you'd like taken. You Inspire Wedding Photography uses a mixture of modern/contemporary and traditional photo styles, so I can tailor my service to suit your requirements. 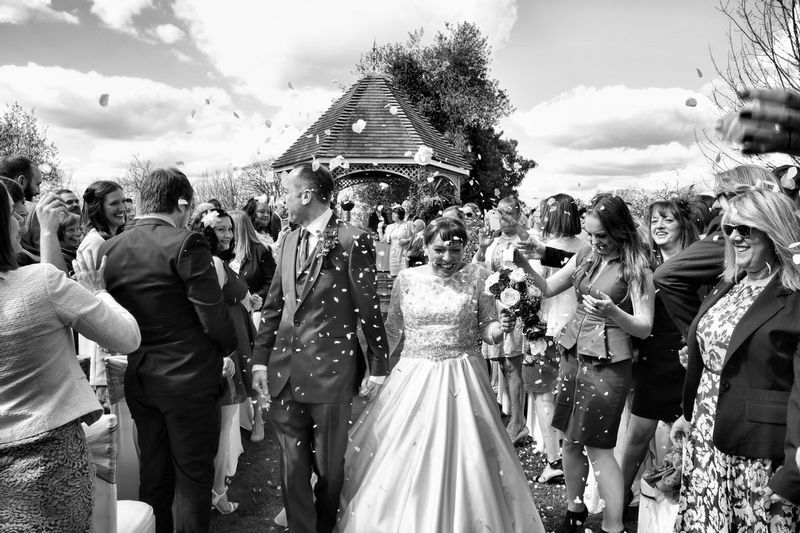 The edited images from your wedding will be downloaded to your own personal portfolio which you can share with family and friends if you wish to. If you have chosen an album package you will then be able to choose which images you'd like in your wedding album or storybook by simply adding them to your favourites. It's important to me that you receive the wedding storybook that you want, so I am happy to design it with you after your big day. I do not put a limit on the amount of images you have in your album, it's your choice. All the edited images will be provided on a USB stick in high resolution and print ready. All photographs are without watermarks. Weddings in Central London are subject to £35 tavel charge. Please use the contact form for more info, availability or to book a meeting. Photography from the 30mins prior to the ceremony until the end of your first dance (20.15). USB containing all high res images, with no watermarks. Secure password protected online folder. Photography covering part of the bridal prep into the evening (21.30) capturing the party as well as the day. USB containing all high res images with no watermarks. 12 x 10 inch Classico album with 30 pages of unlimited images and a Aluminium image cover. Secure password protected online album. 14 x 10 inch Storybook album with an acylic image cover and 30 pages of unlimited images. Memento albums (Parent Albums) are available for £75.00. The memento albums are copies of the original album downsized to 7 x 5 inch, they come in sets of two with a choice of covers. Engagement shoots are available please use the contact form for more details. The Perfetto range of albums is true to its name, ‘simply perfect’, offering a seamless spread for your images across the spine area of your album. The pages are flush mounted edge-to-edge, and the prints are made using traditional photographic paper. The page spreads are available in vibrant lustre or punchy metallic paper options giving you complete control over the final look and feel of your album. The Perfetto ranges from 7×5 inches upwards and is designed to allow you to order downsized versions for parents’ albums at the same time. The Perfetto carries a fantastic range of cover options, including a choice of 4 luxurious leatherette finish colours (Black, Tan, Burgundy and Navy). The Perfetto is packaged in an attractive velvet-lined black presentation box with a luxurious leather effect covering the outer surface. The prints are made using traditional photographic paper.